Instant Messaging App Whatsapp officially launched its new Business App for the small business can use to communicate with the customer directly. The New Business app formally launched in selected markets including India, Indonesia, Mexico, Italy, UK, and the US planning to start WhatsApp for Business Worldwide in Future. Whatsapp launched a new free Business app to download in all Android Stores. It is available in All Google Play Stores free to download and allows businesses to respond to the Customers quickly. It provides best features like Messaging tools, metrics, web WhatsApp, Business Profiles and Account type. Whatsapp for business helps in two ways direct communication with customers and doing efficient business. 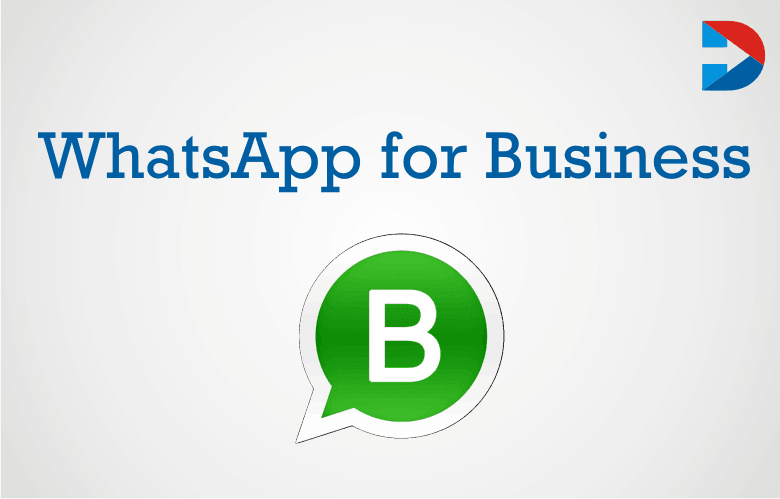 Whatsapp for business is initially an entry point to the market aiming the small businesses. Whatsapp Business will make more comfortable for the people to connect in a fast and straightforward way. Many clothing companies already using Whatsapp messenger for business. Businesses who use WhatsApp for business can connect with the Ordinary WhatsApp users. The company said People who are using Ordinary WhatsApp are no need to the downloading new app. Those who are using WhatsApp for clothing and online grocery stores will continue with the regular version of Whatsapp account. The business account is not yet rolled out in India. They launch it in the coming weeks. Overall 800 million people use Whatsapp every month. WhatsApp for Business is currently free to use and download from Android App Stores. Follow the below procedure to flavor the new Business Whatsapp Account for Business. Search for the “Whatsapp Businesses” and download it from the Google Play store. Follow the Terms and Conditions and accept .always read the updated terms and conditions Fully then only accept it. SignUp with the a mobile number which not linked to the another Whatsapp Account. In case if your number is linked to other WhatsApp account request for the backup and flip into the Business Account and enter the Business details. Start engaging with the audience and monitor the activities. Whatsapp has given a chance to add a description of the business, Store address, website address email and business information in Settings. You can enter the complete Information of your Business under the Business Settings. Now you are successfully enrolled in WhatsApp new Business Account. Once establishing or finished with enrolling of Whatsapp Business App the businesses can use the series of tools provided by the app features similarly used in Facebook messenger app. Quick replies provide quick answers to the customers for Frequently asked questions. theyareGreentings messages introducing the customer to the business, letting them know you are busy, Orders Received, Shipping Done, Offers message, etc. Business profiles help the customers to know more information about the company. It also helps to communicate efficiently through the email address and with the provided website links. Business Account user can add all the company details and business details in the Business Settings. Whatsapp web provides desktop communication to the consumers to efficiently communicate with the business. This is best for the companies because all the product file formats are compatible with the mobile apps due to large file size and memory issues. Whatsapp support 60 languages Worldwide and 55 Billion Messages sent per day. It provides business owners with a simple messaging metrics to know the status of the business. A business can check the if the customer read the message within weeks. According to that can change the way of business approach to implement new ideas how to reach the customers and convert customers into buyers. One of the best and essential parts here are business owners can list themselves as a business after installing the app to ensure efficient contacting the customers to know them as a business owner. Whatsapp is conforming them with the verifies accounts the Operator of the WhatsApp for Business account is using the same number as the actual business account number. The business app will later join with the entrepreneur’s versions aimed the global businesses. The company is indicating that 1.3 billion users are using the WhatsApp for Business for the market now in Brazil. Whatsapp Marketing is the best way to connect and engage with the customers. The company clarifies that regular users can continue with the same account, no need to download again for the new Business app. As per the current research, the Android user is high in using Whatsapp, so company launched Whatsapp Business for Android Users and planning for another platform in future. Whatsapp has become the primary source for messaging as fast as you made calls. Millions of people are using WhatsApp for Messaging and sharing their images and videos. Instead of phone calls, you will get 405 more responsibility for the sales products. No one will respond to the customer care calls from the companies, and no one makes calls to the companies for the product information. Whatsapp efficiently connects and provide better engagement with the customers. Whatsapp calling reaches the international customer communication. For example, if you send a mail or call the business you didn’t get the fast response from the concerned customer what will you do? Just send a simple text through the WhatsApp messenger you will get the quick response. Whatsapp is everyone using for messaging and communication; it does not need any training. We Can arrange team meeting through WhatsApp video calling features. Discuss the business improvements and share their ideas through internal team communication. your company has Whatsapp Groups chatting there is no need for sending and wasting time through email. You can instantly talk and connect with the team for sales and departmental meetings. Some of the businesses listed that WhatsApp is the best tool for direct one-to-one communication which is also a powerful marketing tool. You can send images, short video clips, audio clips, text messages describing your products through WhatsApp worldwide. Whatsapp provides genuine communication with the loyal customers in digital marketing. You can reach the customers that you know through groups or person rather than searching for new customers. Some companies introduced motivation challenges like sending selfie with their products announcing with Prizes. One Billion daily active users on Whatsapp Messanger. Whatsapp could be an excellent tool for customer support rather than sending the bulk of emails and SMS. Your customer always prefers to send WhatsApp messages instead of calling the help desk and rising the tickets to solve the problems. But it does not suppose to use for all types of business only if your company has less number of people you can use Whatsapp as Customer support. Some people are using Whatsapp for efficient business models targeting some regular customers. It is the cost-effective way to use you can save high amount money instead of advertising with ad campaigns. You are a small business owner just click on the Whatsapp Business for better results. There are many brands that got success by promoting their business brand on Whatsapp through which the brand of products or services reaches the real-time customers. Hellman’s Brazil Whatscook video ad campaign through the mobile app Whatsapp has blown its marketing strategy by providing the personalized service to users. When the consumers sign in to the WhatsCook online campaign, then they are enabled to get advice and tips from the chef by uploading the photos of their refrigerator’s ingredients. It is much exciting and trendy concept that has been implemented by the Hellman’s. The queries from the users were answered within seconds, and the consumers can enjoy this service through social media sites, but by enabling the WhatsApp, the personalized service is provided directly by the chefs. The unique and strategic idea of Hellman’s has proved that Whatsapp can be the better engaging mobile app to gain the attention of the consumers in an instant. With the acceptance of 99.5% of users and signups of 13,000 will shows the reach of success milestone especially in Brazil by clutching the user’s attention to participate in such activity through WhatsApp. Absolut Vodka has used the Whatsapp for the business branding with the launch of ‘limited edition Absolut unique bottle collection’ in Argentina. 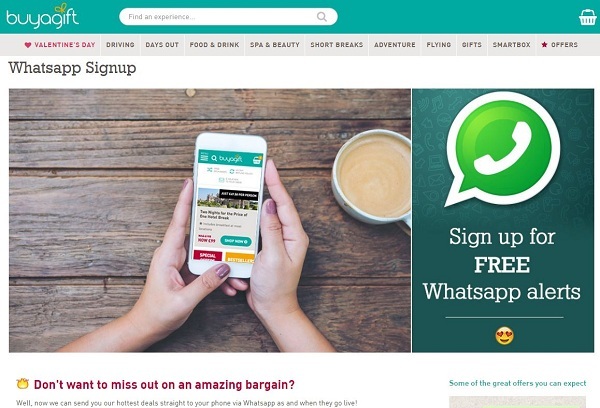 Almost 84% of the users are in the use of Whatsapp when the promotion has arrived. The start of ‘edition’ has invited the users to participate in the party. The imaginary bouncer ‘Sven’ has to permit the participants to enter into the party. It will happen when they use the Whatsapp to get tickets from him. The condition is only two invitations are available. The use of Whatsapp to bring awareness about the virus in West Africa by the BBC has become successful. 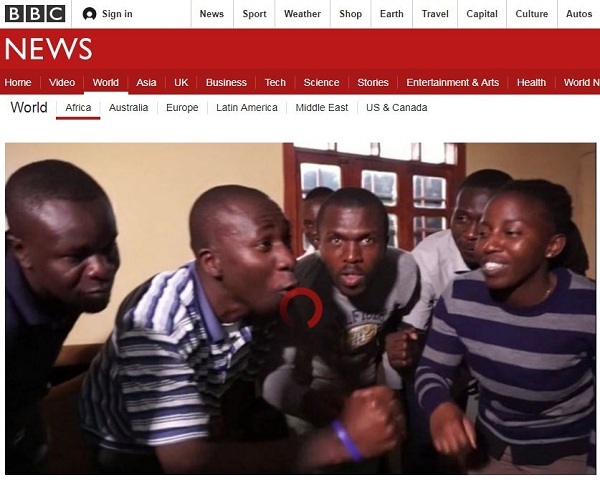 The series named “Young, Angry and Connected” has been hosted by BBC Africa to share the marginalized Africans who intended to vibrate their voice by using the social media sharing apps. The news publishers and sites using the social media Whatsapp to reach the reach the public has been proven with this. The best deals and offers on the gifts have been disclosed to the customers through WhatsApp by the online gift seller “Buyagift.” The echoes of the successful launch of personal branding through personal messages of notifying alerts through Whatsapp mobile app have resulted in immediate customer response. Through WhatsApp Business app the brands can promote their business easily by sending the personalized messages which cost no charge. The costly service message sending apps will be flooded through the entry of WhatsApp Business app. The cost of sending messages will be completely vanished by it, and it enables the businesses to be in touch with the customers frequently. It will notify the users that messages are coming from the particular verified service provider or not. It can easily filter the spam messages that are arriving from the unknown service providers which could be the most beneficial for all the users of Whatsapp Business app. The feature ‘Business Profiles’ allow the customers to know the particular brand details like the website, store address and email, etc. that helps the companies to establish the nature of one’s brand with complete trust at the audiences. People send 4.5 Billion Photos and 1 Billion Videos shared per day. The hype of business brands at the real-time customers will be used to drive the huge sales as they provide complete details of their company by going through the verified process. All this happens with no investment to make promotions. The number of messages delivered, sent and read by the customers will be generated by the business owners. It helps to expand the one’s business by better understanding the customers to serve the customer required products or services. Through this, the business owners can give instant replies by contacting the customers directly. The instant reply to the customers can be given through business owner computer browser without relying on the mobile app. It reflects the brand’s dedication towards the customers to continue the long lasting customer relationship. Whatsapp Business is the most efficient business tool for all the small scale and large scale businesses to explore their brands in an instant. It could be an appreciating idea of launching the Whatsapp Business as the Whatsapp being used by the millions of users it becomes easy for the brands to promote their business brand at real time customers.